DeLaneau was founded by Rolf and Yolanda Tschudin in Biel, Switzerland, in 1949. 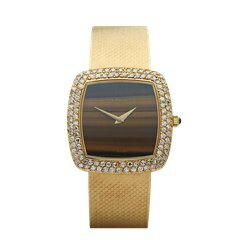 Over time it has established a reputation for creating some of the most remarkable women’s watches on the market. The brand produces only 250 timepieces a year and specialises in hand-painted enamel dials, meaning each watch is a unique piece of art.